Celtic chill DJ Blue Spectral Monkey tops the Mental Elf Bill at the Trades club on Friday 12th June promising a full on set of the best in trance and downbeat soundscapes. Blue Spectral Monkey has been DJing since 1996 billing his sets as a ‘futuristic symbiosis of tribal intensity and technological meltdown.’ Uplifting visuals will be supplied by the Magiclantern team who will be taking to the wheel of steel spinning a heady mix of psytronic breaks and dubwise electronica. The night rounds off with a Live PA from the highly regarded Atomgrinder introducing the crowd to their twisted slant on punkadelic trance. 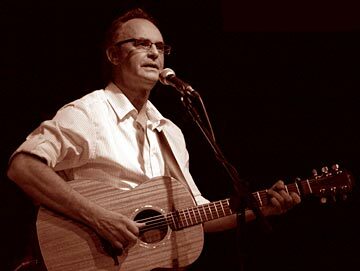 Before all that mayhem the weekend kicks off more gently with singer/songwriter Steve Gifford plugging his critically acclaimed album 'Boy on a Beach’ on Thursday 11th June. Steve was an up and coming star on the London live scene in the 1980s before he gave up it all to commit himself to family life but he came back artistically revitalised in 2001 releasing three albums of West Coast influenced tunes. As well as a headline set at the famous Borderline Club Steve has performed with Ten Years After, Aynsley Lister and ELP’s Carl Palmer building up a strong fan base across Europe. “Mental Elf is always one of our most popular nights as they put so much effort into making the room look fantastic as well as booking top quality DJs and who can resist the delicious cakes on offer in the tea room,” Trades Club spokesperson Paul Clarke told the Hebden Bridge Web.